When You’re Going to San Francisco (Sacramento Actually), Be Sure to Wear a Flower in Your Hair”! I’m so stoked. 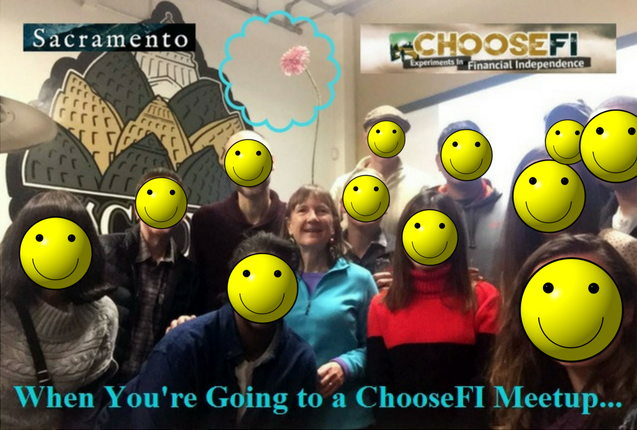 Friday night we gathered for the first meetup of our local Sacramento ChooseFI group. Yeah! It was at a brewery and we’d never met before. I wondered before I left the house.